Most people are already familiar with allergy shots and even sublingual (under the tongue) allergy drops as treatment to try and achieve cure (or tolerance) to the things they are allergic to. - Intra-Lymphatic Injections (ILIT): Rather than weekly shots in the arm, one research paper reported only 3 injections into a groin lymph node over 2 months provided equivalent results to allergy shots in the arm after 3 years! - Allergy Tablets: Potentially in the next year or 2, tablets may become available to treat certain allergies. Grazax by Merck which treats grass allergy is the first which is currently undergoing FDA approval. - Epicutaneous immunotherapy (EPIT) involves lightly scraping a patient’s skin and then applying a patch that delivers the allergens through the bloodstream. 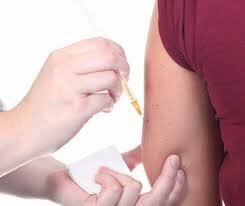 - Intra-Nasal Spray: Declared effective and safe by WHO. - Bronchial Inhalers: Marginal effectiveness and risky. At this time, our office only provides allergy shots and allergy drops.